Weekend Writing Warriors ~ Don’t You Remember Me? Wow, is it really Sunday again? I guess it must be because we’re both here in cyberland, waiting to read fabulous fiction. So, Welcome to Weekend Writing Warriors! 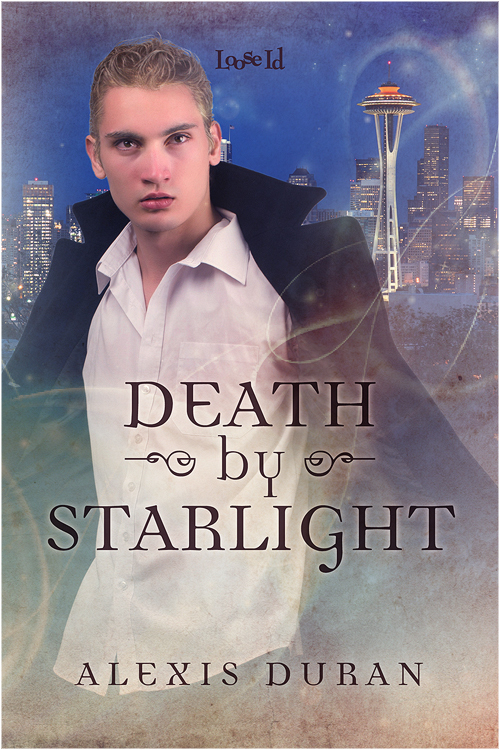 I’ve been sharing from my latest release, Death by Starlight, an m/m urban fantasy set in Seattle. Zeke the dark elf and Alistair the disreputable shaman have been searching for Mellosa the not-so-friendly mermaid out on the Salish Sea. They find her, and Zeke notices she’s not quite the charming little mermaid type one might expect. Mellosa’s eyes were huge, mouth wide and full of sharp teeth, including incisors that would put any vampire to shame. Her hair wasn’t really hair but a living, breathing part of her, more akin to fronds or feathery tentacles then the dead strands that covered a human’s head. Her fingers were webbed, and fins sprouted from her shoulders and biceps. Still, as she drummed her fingers against the gunwale, it was easy to see how a lonely man or woman might become entranced by her. “Why have you called me from my hunting?” she asked, speaking directly to Zeke in a high, almost screechy voice. Gills on her long neck fluttered softly. “Of course I remember you, smelly old man.” The way she emphasized man made it clear she considered the word an insult. In Betwixt and Between, Ian and Zeke fought a battle against the queen of the dark realm in order to be together. Now, when they think they might settle into as normal a life as elves living among humans might be able to expect, a new enemy threatens to tear them apart. While Zeke helps the shaman Alistair in his hunt for an elusive mermaid, Ian is called to confront a wicked nymph preying on tourists along Seattle’s waterfront. Zeke and Ian soon discover that the defeated Queen Ysolde has spread her evil into the sea realms, and danger lurks beneath every wave, but it is too late to stop an escalating series of confrontations that lead to disappearances, death and the possible end of light in this world. This entry was posted in Death by Starlight, Fantasy, Weekend Warriors Snippets and tagged Alexis Duran, Betwixt and Between, Death by Starlight, Edge of Night series, elves, gay romance, LGBTQ, m/m fantasy, mermaids, new release, weekend writing warriors. Bookmark the permalink. What a writer! With your imagination, you will go far. Where, I don’t know. Uh oh. You have your work cut out for you to make Melossa into a romantic heroine. I’m enjoying your setting, due to familiarity from my youth, although my old stomping grounds were a couple hundred miles farther north. I love your description of her. She sure doesn’t look like Ariel. LOL She’s not too enamored with Alistair, is she? Bummer for him. Continuing to be fascinated by this story and the definitely un-Hollywood nature of your mermaid. Great snippet! Love the description of the mermaid. She sounds wicked! And I sense drama brewing–I wonder what he did to make her angry? oooh, interesting hair. I enjoy your description. You convey a lot in a few sentences.